Vincent experienced his first love for dubstep around 2007-2008 and only started making dubstep himself in 2014, taking all sorts of styles along the way with him but keeping the hard hitting dancefloor destruction sound as his personal favorite. 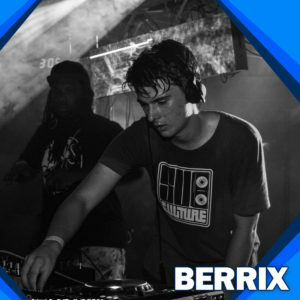 Since then the phenomenon is still growing, Berrix is becoming an upcoming legend of the dubstep scene. With an incredibly loyal fan base he’s is known world wide for working hard, playing hard and DJing hard on stages globally.